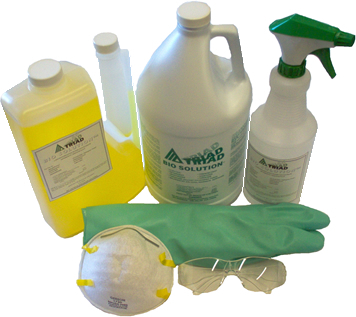 A phosphate-free, Non-Hazardous, Biodegradable, super concentrated disinfectant and sanitizer. Has been tested as a proven decontaminate of stachybotrys atra, commonly referred to as “ black mold”. Bio Solutions also decontaminates tuberculoses and Type HIV-1 (associated with Aids) and HBV (Hepatitis B Virus) on pre-cleaned surfaces previously soiled with blood/body fluids. Bio Solutions is a cleaner, detergent, disinfectant, fungicide, deodorizer, sanitizer, and mildewstat. Previous uses have been in the construction and health related industries. A unique, water based, biodegradeable formulation that is specific as a clean up/ mitigation agent for a wide range of Hydrocarbon products. This product emulsifies and encapsulates petroleum based products so they become non-flammable and more readily biodegradeable. Currently used by the Sparkle Wash power washing franchises across the United States, Japan and in Korea as a private label product. Sold as a concentrate. 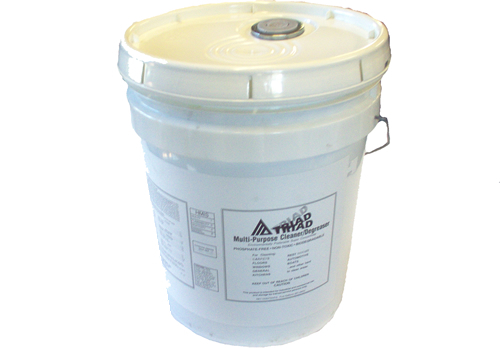 A non-hazardous alkaline cleaner/degreaser designed to eliminate industrial soiled areas. Can be used for all- purpose general cleaning, carpet & upholstery, floors, floor stripping and degreasing. Sold as a concentrate.